An Interview with Judyann McCole, Author of "Adela Arthur and the Creator’s Clock"! Susan Heim on Writing is pleased to be a stop on the book tour for Adela Arthur and the Creator’s Clock, Book 1 of 5 in The Chronicles of A series. I know you’re going to enjoy the following interview with the author! What was the inspiration behind the Chronicles of A series? My inspiration came from one of my jobs actually. I’m a babysitter to these 3 amazing little girls, all of whom love to read, and one day one of them demanded a new story. 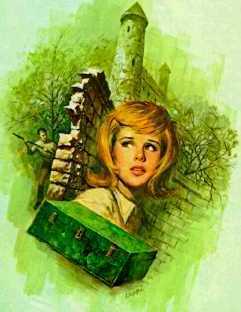 Apparently they wanted a girl to go on an adventure just like the boys, and so I wrote Adela Arthur. I told them story after story about Adela Arthur, and one day it just clicked to write them down. How much do you have in common with Adela, the main character? We are both book and movie nerds. Throughout the novel, she makes references to novels, TV shows and movies, which doesn’t really make sense to anyone since she is part of a new world. She’s quirky and also very hard on herself, traits that I also deal with. 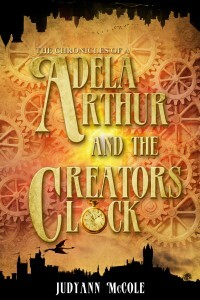 Book 1, Adela Arthur and the Creator's Clock, is currently available. Four more books are to follow. When can we expect the next installment? The next book in the Chronicles of A is Adela Arthur and the Eternal Evergreen. It picks up a month after the first book and takes place over the summer. Adela is forced to deal with the truths that are revealed to her in the first books, all while dealing with a new danger lurking the halls. How do you find time to do so much writing as a full-time college student? Ha ha, good question. So … I tend to forgo sleeping most nights. I love college, I really do, but it is hard to manage writing and school. I have a great circle of friends who help me focus and make me have fun. I’m not really sure how it’s all working right now, but I hope to keep all my balls in the air. Biology. Yep, every time I tell people they are always surprised. 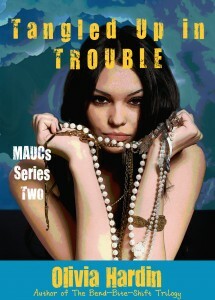 Yes, I have another Young Adult novel coming out in the fall/winter, hopefully by Tri-Destiny Publishing. It’s called Moonrise and follows the life of Cordelia Lane, a human, and Aedan Galahad, an angel. 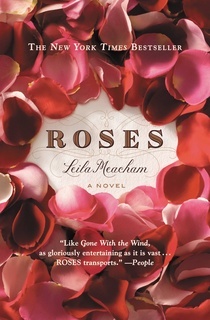 I love Young Adult novels, but after Adela Arthur and Moonrise, I’m outlining a Historical Fiction novel. How does Maya Angelou inspire you? Thank you for asking this question! Maya Angelou to me is huge. In all of her writings, I feel as though she is talking about me or trying to reach me. She inspires me because she makes me think and feel a different emotion each time I read her work. She’s just amazing! You do book reviewing, in addition to everything else. What is your favorite genre to read? I wish I could do more! I love books, and I really don’t have a favorite genre. I just read The White Queen by Philippa Gregory. What are you reading now? What is coming up on your TBR pile? Right now I’m trying to read The Sea of Tranquility by Katja Millay. You also like to do book covers. Why do you redo covers on your blog? 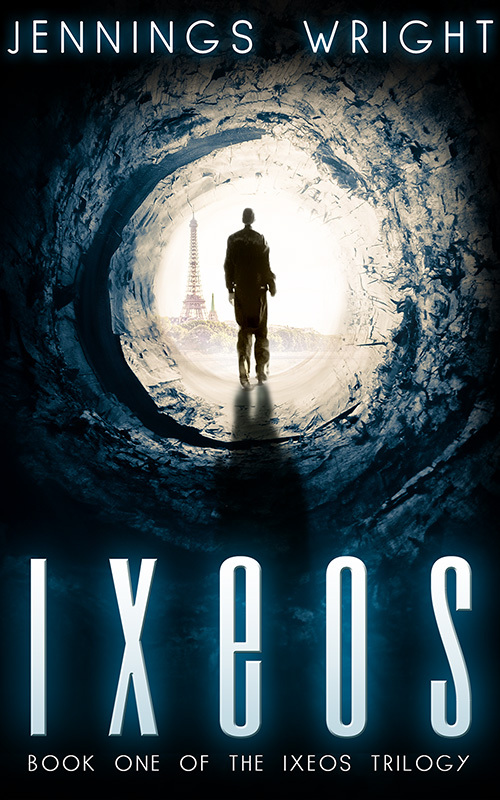 By no means do I ever want to tear down an author’s cover. I just love art! And when a book has a cool title, my mind goes off into all of these ideas. I’ve done a whole bunch of covers for my books. Before I even write, I have to make a mock cover. I’m not sure why. It just inspires me to write and/or read. Um … I’m not sure. I really love politics and religion -- not the part where everyone is yelling at each other, but the learning aspect of them. I love learning about other people’s religion or lack thereof and what people believe. Knowing what people believe is a huge step in defining a character. Check out my book! Please and thank you! No, thank you! Your questions are amazing! Inspired by Maya Angelou and even a little of Dr. Seuss, JUDYANN MCCOLE began writing when she was in middle school, but most of it was just simple poetry. She was a senior in high school when she started working on Adela Arthur and the Creator’s Clock during her history class. It started off as a short story for a group of young kids she babysat for and grew into an adventure she herself wanted to go on. 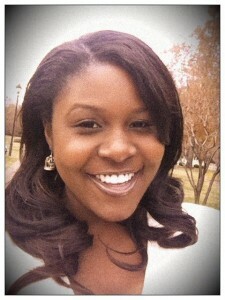 She is currently attending college in Virginia where she hopes to finish the next adventure in Adela Arthur’s life. The author is giving away a $25 Amazon gift card and an electronic copy of Adela Arthur and the Creator’s Clock! To enter, CLICK HERE. Death: a word Mia Baron was all too familiar with since the murder of her parents when she was a young girl. Her drive for vengeance was the reason she became a Death Dealer -- a soul guide through the spirit realm -- signing her life away in her own blood. Pain forged a concrete wall around her heart, and no one or nothing would ever penetrate it … until she got what she desired most -- revenge. Deacon Gage craves justice for his own horrific tragedy that forced him into the same life Mia chose, with the same promise of vengeance dangling just out of reach. His expert training makes him an Elite -- one of the few Death Dealers to ever achieve such a status -- and no one can shift his focus from the blood he seeks. But when the two are partnered for yet another job and a heart-shattering case rips open Mia’s heart, Deacon realizes he’s the only one who can save her … at a price that might be too much to pay: opening his heart to her. The clock is ticking, and her life hangs on the balance of whether he can truly let go or will hold onto his desire for blood. Ashley Robertson resides in sunny Orlando, Florida, and loves writing about anything paranormal. She also composes poems and songs, though she learned long ago she doesn’t have a singing voice. When she isn’t writing, you’ll find her spending time with family and friends, sharing personal training and nutrition advice via ExtremeMakeovers.com, traveling and exploring new places, and drinking fine wines and gourmet coffees from her Nespresso machine. Fill out the Rafflecopter form below to enter to win. Make sure to pick up your copy of the book! Jill’s wish gave Doc a new chance at life -- literally. Almost a decade of years have passed since Jill watched her lover get killed, and now that time is like a chasm between them. Can they learn how to make One Bite of Paradise become an eternity? Tempers fly when Sarik makes last-minute changes to Jael’s and his vacation plans. How far will he go to get back in her good graces? Eva and Thomas are bound by magic and are getting on each others’ nerves. Eva is ready for a vacation, but when someone from Thomas’s past is in trouble, her holiday comes second to saving a soul from Hell. Ella Reynolds and vacations do not mix -- but she is willing to give it a try for Gabriel. However, when she stumbles across the ghost of a young woman who needs her help, all thoughts of fun and relaxation vanish from her mind. Can Ella solve this mystery before her vacation ends or will the spirit be trapped in an infinite loop forever? Ben thought his trip to New York would be just like any other -- find two random people, nurture their love, and leave before his presence is detected. But when he runs into someone from his past, business as usual becomes complicated. The worlds of the Spellbound Series and the Fate Trilogy blend in Bound by Fate. Cathryn Whitmore does not want a vacation, not even in beautiful Cape May. But when she encounters a hot college professor at a bed and breakfast with a ghostly mystery, she just may change her mind. Gwen and Dorian head to Hawaii, but not for fruity drinks or sunbathing. A string of murders taint what the locals are calling Cursed Cove. Haunted by the infamous Captain Clarke, Gwen and Dorian must figure out how to rid the beach of the demonic ghost before more locals lose their lives. Some fun in the sun was just what Loti needed, but from the moment she and Wolf arrive at the not-so-quaint hotel, they know something’s off about the place. Cockroaches, dirty linens and an unkempt room turn out to be the least of their worries. An evil spirit haunts the beachfront resort, and it has no intentions of letting them check out until it gets what it wants. Can they solve the mystery before daylight comes? Join the Tyndale Rewards Program to Earn Points for Free Books, Bibles and More! If you love books and/or Bibles, you’ll definitely want to check out the Tyndale Rewards program. It’s designed to provide you with opportunities to get books and Bibles at no cost! As a member of the Tyndale Rewards program, you’ll have access to inspiring literature, Bibles, special promotional offers, a free gift on your birthday, and opportunities to share your personal recommendations and feedback about Tyndale products. The more participation you have with the program, the more points you earn -- and that means more free stuff! Check out this brief video to learn all of the super-easy ways you can earn points and redeem them for FREE rewards. I hope you’ll join me in becoming a member of the Tyndale Rewards program. Your points will never expire! CLICK HERE TO SIGN UP FOR TYNDALE REWARDS TODAY! Disclaimer: I will be entered into a contest to win a Kindle Fire as a thank-you for sharing this information. Robert Duncan no longer believes in magic. However, a mysterious call about a blood moon leads him back to the magical world of his childhood and to Luthien, the beautiful girl with flame-coloured hair, whom he loved and lost. A Wicked Kind of Dark mixes vast and spectacular fantasy landscapes with gritty urban reality. This is a must-read for people of all ages who believe in the power of imagination and the importance of never losing touch with your inner child. Jonathan Benton always wanted to write books, having won first place in a short story competition when he was ten. Inspired by writers such as Ray Bradbury and Stephen King, Jonathan first discovered the crossover genre of literary/fantasy while reading Bradbury’s Something Wicked This Way Comes. Jonathan grew up in New Zealand, dreaming of travelling to London and finally making the pilgrimage in his mid-twenties. Returning from England, he settled in Australia, the country he now calls home, and decided to take his writing seriously. 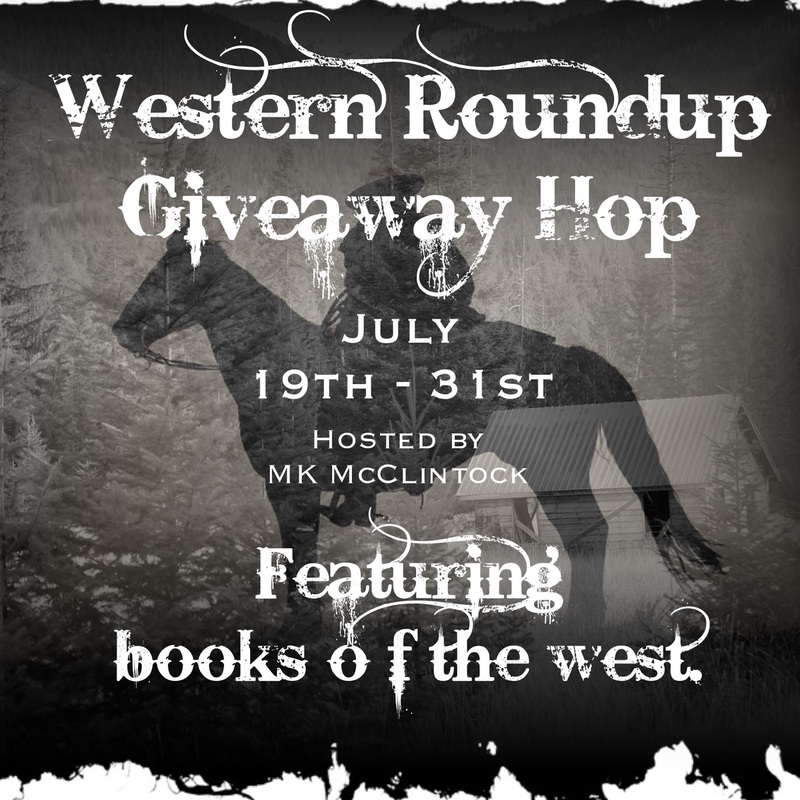 The Posse Book Blast: Giveaway for a Beach Basket, Amazon Gift Card, and More! Tawdra Kandle is giving away a beach basket with earrings, shell necklace, yummy scents, and a $10 Amazon gift card! Fill out the Rafflecopter form below to enter. Susan Heim on Writing is pleased to be a stop on the book tour for Tangled Up in Trouble, by Olivia Hardin! Lynlee Lincoln isn’t just a witch; she’s also a Neutralizer. Her job is a juggling act to keep magical and undead clients out of trouble. But getting back together with her old flame throws one more ball into the mix, and romance with a guy who has two kids can get complicated. When her old mentor asks her to investigate the goings-on of a dark witch, things turn messy. The witch is stalking supernatural creatures to collect ingredients for a potion that Lynlee can’t seem to figure out. To keep those closest to her from becoming the next victims, she may have to confront the demons within herself. The first book in the series, Trolling for Trouble, is forever FREE. Get caught up on the series. I snorted and shook my head. Rhia and I were on our way to a call for one of my MAUCs, a vampire named Rufus. The poor fellow got himself entangled with an ultra-religious gal the previous evening. Perhaps she wasn’t all that religious after all because she did in fact sleep with Rufus. And that couldn’t be blamed on his ability to hypnotize because he preferred to feed on a woman after he seduced her. He liked the taste of the endorphins in their blood. As we approached the grotto I noticed Rhiannon was distracted. She kept pulling her cell phone from her pocket, frowning, then putting it back. After almost a minute she would repeat the process again. I side-eyed her as I programmed our destination. “You expecting a call?” I asked as we stepped into the stone enclosure. Her face turned fuchsia and she fumbled to put the phone away. I pursed my lips and frowned at her, but she averted my eyes. Rufus lived in an apartment in Kansas City, Missouri, so Rhiannon and I had orbed into a forest near there so hopefully we wouldn’t be seen. I knew the moment we got there that we were alone, not sensing anyone else in the area. I faced my friend with a severe look. I followed her, a nagging concern about what might be going on with her pricking my brain. Shaking my head, I relayed the same advice to myself that I’d just given to Rhia. Focus! Author Olivia Hardin is giving away a $50 Amazon or B&N gift card and other great items. CLICK HERE to enter! Within the Realm Book Blast: Giveaway for Gift Cards and a Fan Pack! The Gifted walk among us. They are unseen, but in plain sight. The Earth’s energies are as visible to them as the tangible world is to us, and they can harness and bend these forces to their will. Atop the Pentagon resides the government of the Gifted Realm. Rainer Lawson is set to join the ranks of Elite Officers in the Gifted Police force. With his fellow officers, they will work together, using their abilities to try and end the most sinister criminal organization in existence. His parents fought and died to re-establish the Realm, and he won’t allow them to have sacrificed in vain. The will to protect those he loves has always driven Rainer, but his desperation to protect Emily, the love of his life, consumes him. While passions ignite and vengeance is sought, Rainer may discover that all of his money, fame, and power could cost him the only thing that has ever truly mattered. 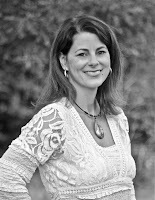 Jillian Neal is the author of The Gifted Realm series of novels. She has a passion for telling strong, character-driven stories that stretch the imagination. Her debut novel, Within the Realm, was released in 2013, with the next installments of the series soon to follow. She lives near Atlanta with her husband and children. For more information, visit her website at http://www.jillianneal.com. To enter this giveaway, fill out the Rafflecopter form below. Welcome to the Book'em Danno Book Hop! This event is hosted by The Review Wire and is dedicated to book lovers everywhere. 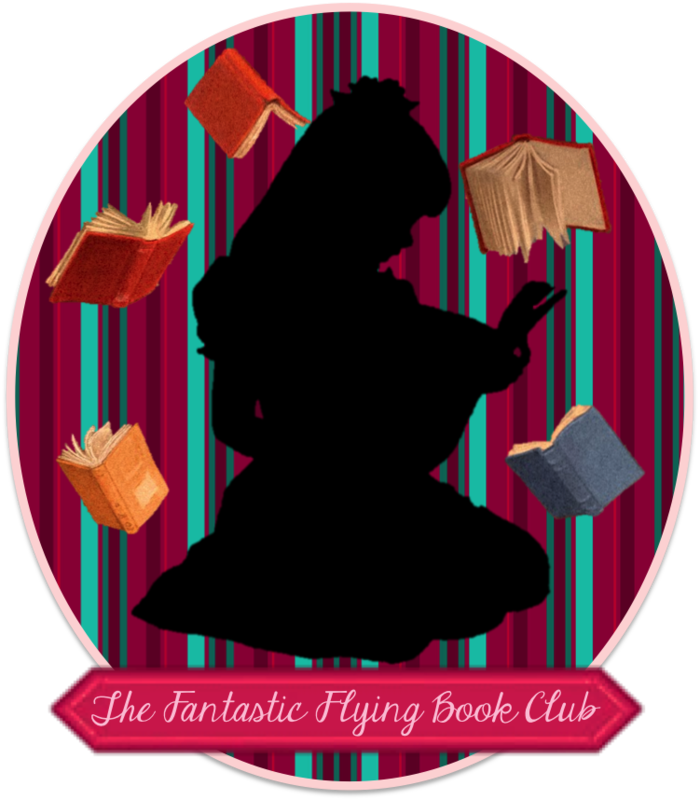 Whether it's hardcover, paperback, eBooks or gift cards to buy a book, each participating blog is offering you some kind of reading adventure! After you enter my giveaway, make sure to hop on down the list to see what each blogger has to offer. Also, you can enter The Grand Prize drawing over at The Review Wire. Two prize packs will be offered to two winners that include all children's titles, both valued at more than $110! From budding bloggers to bestselling novelists, your fellow writers share their best advice, writing tips, time management strategies, and personal ups and downs in the business of writing. These stories will motivate you, entertain you, and keep those words flowing! 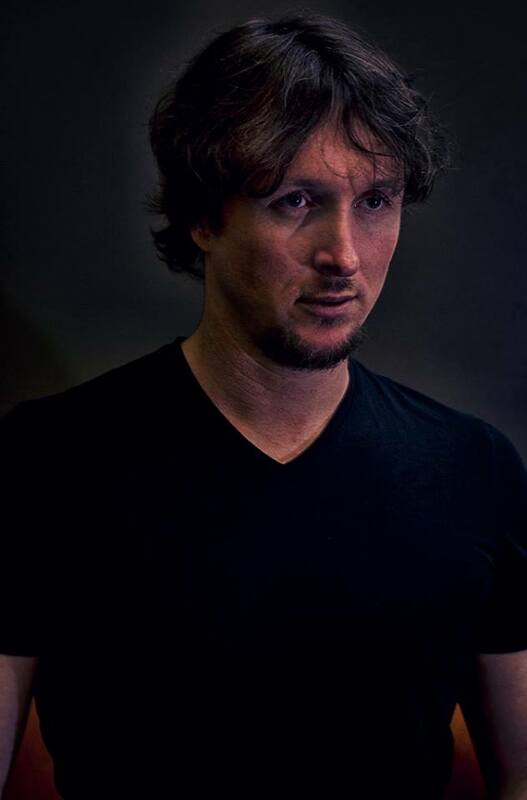 Bestselling novelist J.A. Jance explains how her next book rights a wrong done to a friend killed in Vietnam. Award-winning Young Adult novelist Sarah Darer Littman talks about her “second book blues.” Read how bestselling author Hank Phillippi Ryan was mentored in the writing world by someone she had first mentored in the TV world, and how Jenna Glatzer overcame her agoraphobia to ghostwrite Celine Dion’s biography. Marc Tyler Nobleman explains how he unmasked the true creator of the Batman series. With chapters on overcoming your fears, beating writer’s block, accepting rejection, and making time to write, you’ll feel like you’re at a first-class writers’ conference. 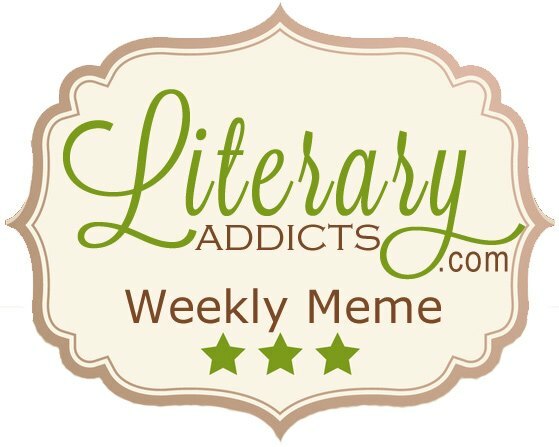 Additional chapters cover how to use writers’ groups and mentors effectively, tried and true methods to find new inspiration, and how writing can change your own life and others. 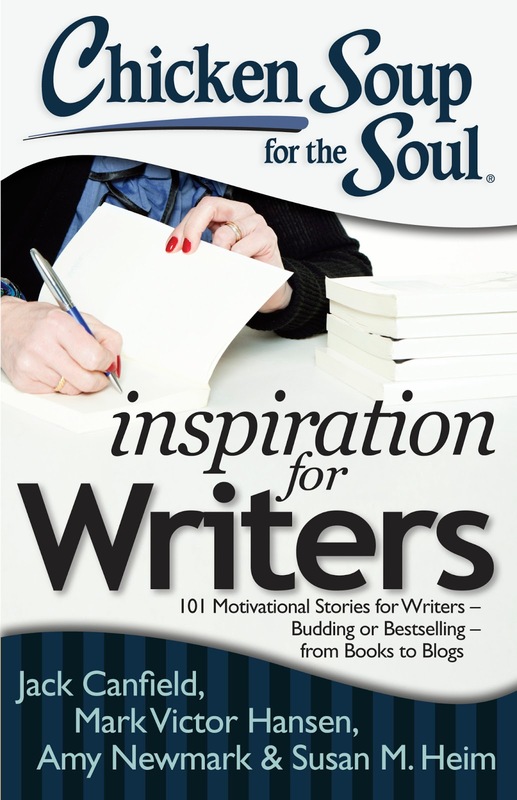 One lucky winner will receive a paperback copy of Chicken Soup for the Soul: Inspiration for Writers! This giveaway is open to U.S. residents only and will end at 11:59 PM ET on Friday, July 26, 2013. This is going to sound really unoriginal, but my favorite fairytale was always Cinderella. This tale has been told in various forms throughout history, but Frenchman Charles Perrault often gets the credit for adding the pumpkin, fairy godmother and glass slippers in 1697. But the reason I love the story so much is because I have fond memories of my sister and I watching the annual TV showing of Rodgers and Hammerstein’s Cinderella when we were children. 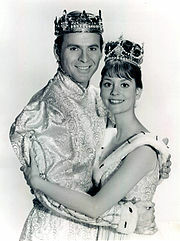 It came out in 1965, and starred the young and beautiful Lesley Ann Warren as Cinderella. It was broadcast annually on TV for ten years, and it was one of the highlights of our year! We always swooned over Prince Charming, the music and dancing, and the romantic tale. I’m sure if I watched it today, it would seem a little dated and silly, but I’d still love it for the wonderful childhood memory it evokes! So, what is your favorite fairytale and why? 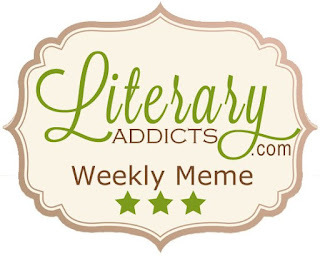 CLICK HERE for links to the other blogs participating in this meme to see what their favorite fairytales are (and join the Literary Addicts while you’re there)! Tangled Up in Trouble Book Blast: Giveaway for a $50 Amazon or Barnes and Noble Gift Card, Signed Books and Swag! The first book, Trolling for Trouble, is forever FREE. When Olivia Hardin began having strange movie-like dreams in her teens, she had no choice but to begin putting them to paper. Before long, the writing bug had her, and she knew she wanted to be a published author. Several rejections plus a little bit of life later, and she was temporarily “cured” of the urge to write. That is until she met a group of talented and fabulous writers who gave her the direction and encouragement she needed to get lost in the words again. Olivia’s attended three different universities over the years and toyed with majors in Computer Technology, English, History and Geology. Then one day she heard the term "road scholar," and she knew that was what she wanted to be. Now she “studies” anything and everything just for the joy of learning. She's also an insatiable crafter who only completes about 1 out of 5 projects, a jogger who hates to run, and is sometimes accused of being artistic. The author is giving away a $50 Amazon or Barnes & Noble gift card, plus three prize packs containing a signed paperback with a bookmark from the Book Swag Shop. Jennings attended the University of Tampa, graduating with a BA in Political Science, and almost enough credits for BAs in both English and History. She attended graduate school at the University of West Florida, studying Psychology. She spent time over the years doing various kinds of business writing, editing, and teaching writing, but mostly having and raising her family, homeschooling her children, owning and running a business with her husband, and starting a non-profit.